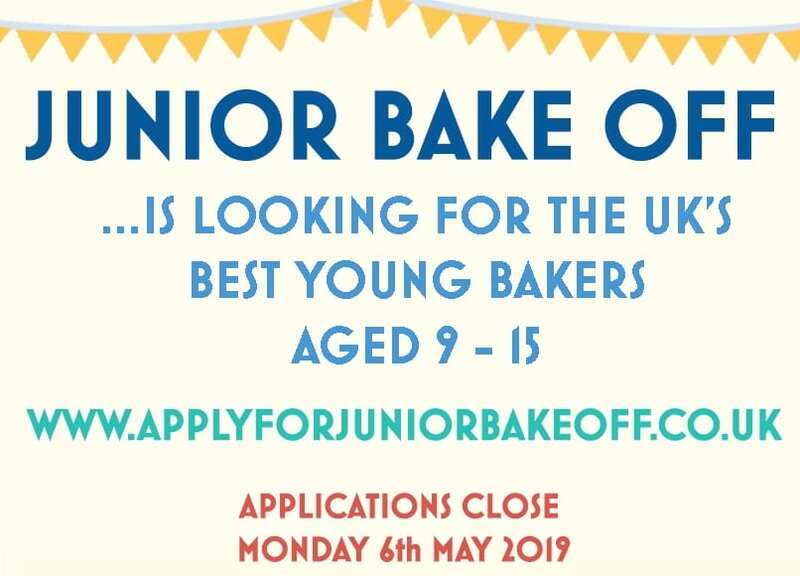 We are contacting you from the television production company Love Productions – the team behind the UK’s much loved baking show The Great British Bake Off and The Great British Sewing Bee. 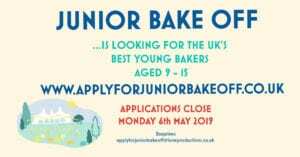 We are delighted to announce that a 5th Series of JUNIOR BAKE OFF IS COMING BACK and applications are now open for this new Channel 4 show! 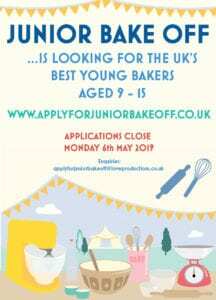 We are looking for talented young bakers between 9 -15 years old. Filming would take place from late July 2019 and our applications close Monday 6th May 2019. It would be very much appreciated if you could help us spread the word!